For the Magic Kingdom at the Walt Disney World Resort the biggest news for the last 2 years has been the monumental expansion that is taking place in Fantasyland. New castles are being built, along with new attractions, and restaurants. The best news of all is that we will start to see this new Fantasyland start to open late in March 2012. The first area to open will be the Storybook Circus themed section which is inspired by the Disney animated classic "Dumbo." Storybook Circus uses the area that used to be home to Mickey's Toontown Fair. It will also cater to Disney World's youngest guests just like Mickey's Toontown Fair used to do. 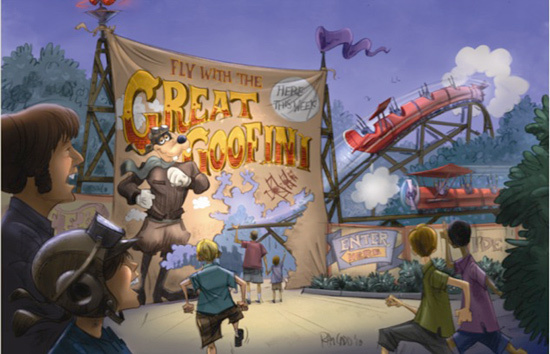 The attractions that will be opening in this area include the Great Goofini Roller Coaster, which is a rethemed version of the Barnstormer. This is a perfect introduction to roller coasters for young children and also for thrill ride averse adults. 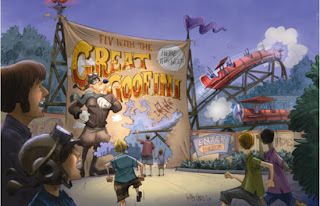 The area will also be home to a new and improved Dumbo The Flying Elephant attraction, now with two ride carousels (one to open in late March with the other to follow later) to choose from instead of the tradition one that we are used to. We are also promised an interactive queue area to make the time spent waiting in line more enjoyable. Lastly we will be introduced to Casey Jr. the train from the Dumbo movie that brought the circus into town. This will be combined with colorful circus tents and circus theming. It has been a long time for Disney World fans to go from initial announcement, ground breaking, construction, and finally opening of the expanded Fantasyland. Will this initial phase opening excite you or just make you more impatient for the rest to open? 0 comments to "Disney World Starts Welcoming New Fantasyland Attractions In Late March"